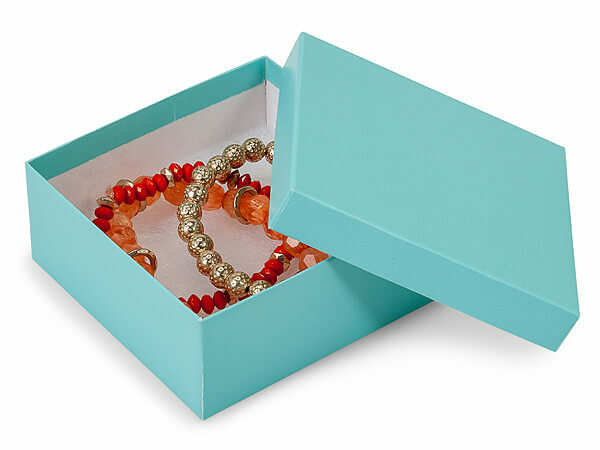 Matte finish 3-1/2x3-1/2x1-1/2" Aqua Blue Jewelry Boxes are a gorgeous shade of blue! Every box is filled with non-tarnish ultra white synthetic cotton. Jewelry boxes contain 100% recycled boxboard which is the largest component of the box by weight, does not include paper coverings. Made in the USA.